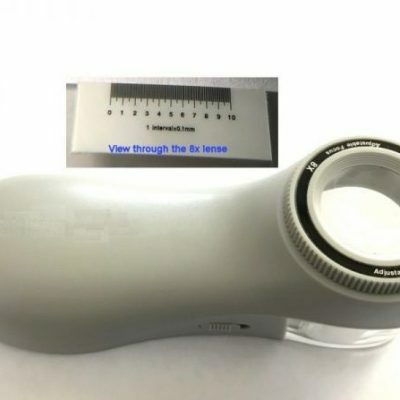 Plastic molded body and lens with 6x magnification. This inexpensive tool is excellent for occasional or daily use. 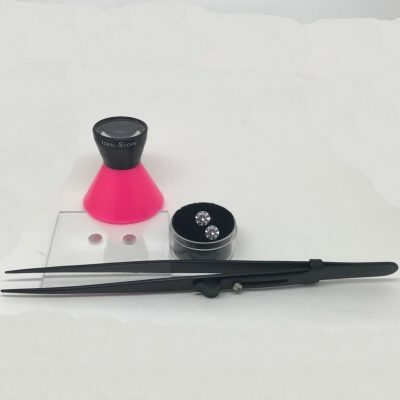 It is especially good for diamonds of 1 carat and larger because the lower magnification which allows easy focus and viewing of the entire diamond all at one time.